This breakout board will solve all your power-monitoring problems. 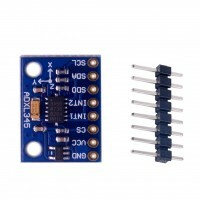 Instead of struggling with two multimeters, you can just use the handy INA219B chip on this breakout to both measure both the high side voltage and DC current draw over I2C with 1% precision. Most current-measuring devices such as our current panel meter are only good for low side measuring. That means that unless you want to get a battery involved, you have to stick the measurement resistor between the target ground and true ground. 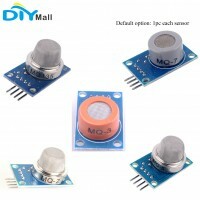 This can cause problems with circuits since electronics tend to not like it when the ground references change and move with varying current draw. 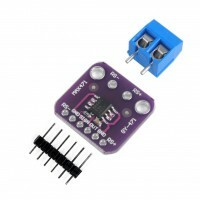 This chip is much smarter - it can handle high side current measuring, up to +26VDC, even though it is powered with 3 or 5V. It will also report back that high side voltage, which is great for tracking battery life or solar panels. 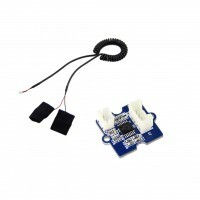 We include a 6-pin header (so you can easily attach this sensor to a breadboard) as well as a 3.5mm terminal plug so you can easily attach and detach your load. Usage is simple. 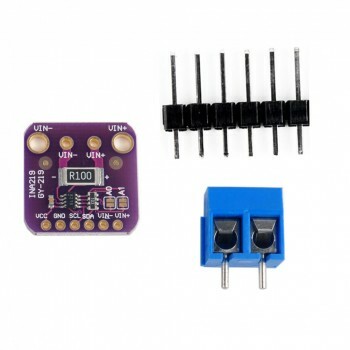 Power the sensor itself with 3 to 5VDC and connect the two I2C pins up to your microcontroller. Then connect your target power supply to VIN+ and the load to ground to VIN-. 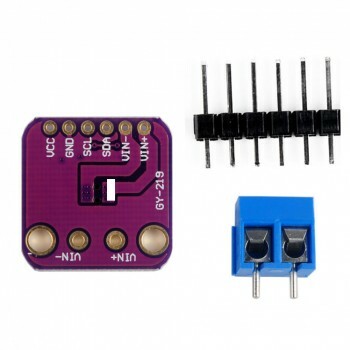 We have an Arduino library right now that will do all the gain, range and math for you - just plug and go! We'll have a more detailed tutorial up shortly.